Who’s Got Extra Love? 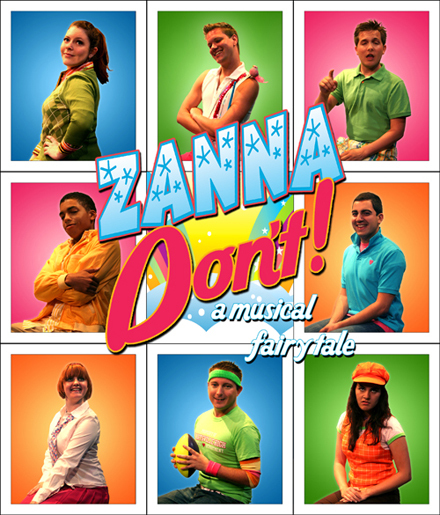 Guys grab your guy, girls grab your girl and head on down to Heartsville High to have a gay ol’ time with Zanna and his friends in this magical, musical fairy tale! Featuring: Andrea Dennison-Laufer, Justin Scott Eaton, Frankie Marrone, James Oronoz, Billy Rodriguez, Alissa Sanchez, Colleen Wilson and Bryan Rogers as Zanna. Directed by Jack Millis, Musical Direction by Stephen Hulsey, Choreography by Frankie Marrone. Book, music, lyrics by Tim Acito. Additional book and lyrics by Alexander Dinelaris. $25 General Admission, $15 Student Admission. Visit our Box Office to search for the perfect performance night and reserve your seats today, or call 714-826-8700. Special discounted performances available!